The American Human: How Afraid of Hillary Clinton Is the GOP? Really Afraid. How Afraid of Hillary Clinton Is the GOP? Really Afraid. Hillary is not unstoppable. But the GOP is still panicked. How worried are the GOP that Hillary Clinton can't be stopped by one of their clown-car passengers? Judging by the "throw anything that can stick" attack MO, I'd say plenty. Here's Amanda Marcotte's takedown of Fox News' latest attempt to place Hillary at the center of a tragedy almost a year and a half after she ended her tenure as Secretary of State. But of course everything is her fault. I blame the Golden State Warriors' failure to defeat the L.A. Clippers in the playoffs on her for sure, but Fox has failed, utterly failed, to connect the dots! 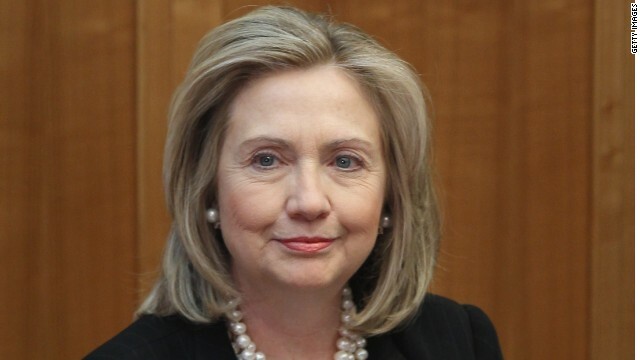 (CNN) -- Hillary Clinton's leadership as secretary of state regarding the Nigerian terrorist group Boko Haram could become at least as serious an issue as her decisions surrounding the attack on the U.S. consulate in Benghazi. With a lede like that, who needs to read the rest of the article? She's guilty! For fun, google "hillary boko haram." And remember: Firing up the Republican base brings in not a single anti-Hillary voter into the fold. They're already in the batshit crazy tent, and a rational Hillary supporter won't budge with this nonsense. Instead, it makes centrists and independents think the GOP is wacked.